How will you cope with the move to Windows 8 or 8.1? What really matters this time, though, isn't just what Microsoft have added to the Windows mix: it's what they've changed, or taken away. And that's because this is no gently incremental upgrade. 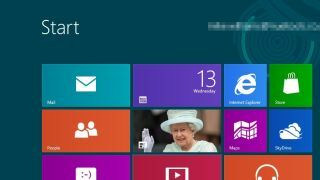 Rather, Windows has undergone a major redesign which sees the Start menu scrapped, the desktop demoted, and years of interface conventions thrown away. Can you learn to live in a Windows 8 world, then? That all depends on how you feel about what Microsoft has done. Let's take a closer look. The Start menu provided easy access to every aspect of your system, such as search, Windows tools, settings, installed programs, recent documents and more. There simply isn't room to display all of this on the Start Screen, though, and so many functions have now been scattered around the system, making them much harder to find. After launching Windows 8, for instance, you might want to customise it − but there's no Control Panel tile. The Start Screen does provide some shortcuts, but they're so well hidden that many users will probably only find them by accident (press Win+X, say, or move your mouse cursor to the top-left corner of the screen to launch the Charms bar, and click Settings). And even then they may be disappointed, as plenty of key settings now have to be accessed elsewhere. Move to installing applications and you'll find that's easy enough, as your programs extend the Start Screen with tiles of their own. What you won't find is a Documents menu, though, or a clear way of pinning files to the Start Screen (third-party tools like Pin to 8 can help with the latter). And it's not even obvious how to perform a simple task like shutting down or restarting your system. In Windows 7 clicking the Start button was enough to point you in the right direction. In Windows 8 you might move your mouse cursor over to the top-left corner of the screen, hit the Settings option (not the most obvious location), and click Power before choosing the option you need. It's not all bad news, though. The Start Screen does include a simple menu which provides easy access to some system tools: Control Panel, Task Manager, the Command Prompt, shutdown options and more. Press Win+X, or move your mouse cursor into the bottom left corner of the screen and right-click to see it. Better still, if you just start typing at the Start Screen then you'll launch the Windows 8 search tool. Type "Note", say, to see a link for Notepad, or type part of a recent document name to list that file. And if you ever find yourself unable to figure out how to perform some task, just type a relevant term − "shut down", say − and click Settings for more helpful links. If this still isn't enough, though, Windows 8.1 can boot directly to the desktop, rather than the Start Screen (right-click the taskbar, check "...go to the desktop instead of Start"). You'll still need to access the new interface occasionally, but these tweaks should reduce your initial frustrations, and if you still run into problems then the Search tool will quickly point you in the right direction.